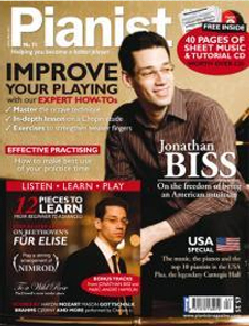 Watch the American pianist Jonathan Biss (pictured) give series of free online lectures on one of the greatest bodies of music ever composed, from the point of view of a performer. Each lecture will explore a different facet of the music; all will attempt to locate the source of the tremendous psychological power of Beethoven’s music. About the Course Our relationship to Beethoven is a deep and paradoxical one. For many musicians, he represents a kind of holy grail: His music has an intensity, rigor, and profundity which keep us in its thrall, and it is perhaps unequalled in the interpretive, technical, and even spiritual challenges it poses to performers. At the same time, Beethoven’s music is casually familiar to millions of people who do not attend concerts or consider themselves musically inclined. Two hundred years after his death, he is everywhere in the culture, yet still represents its summit. The course will feature some analysis and historical background, but its perspective is that of a player, not a musicologist. Its main aim is to explore and demystify the work of the performer, even while embracing the eternal mystery of Beethoven’s music itself. Courses start from 5th September, for five weeks only. Anyone can join. So sign up right now!